Security researchers from Kryptowire discovered the alleged backdoor hidden in the firmware of many budget Android smartphones sold in the United States, which covertly gathers data on phone owners and sends it to a Chinese server without users knowing. First reported on by the New York Times on Tuesday, the backdoored firmware software is developed by China-based company Shanghai AdUps Technology, which claims that its software runs updates for more than 700 Million devices worldwide. Moreover, it is worth noting that AdUps provides its software to much larger handset manufacturers, such as ZTE and Huawei, which sell their Android phones worldwide, across over 150 countries and regions. Besides sniffing SMS message content, contact lists, call logs, location data and other personal user information and automatically sending them to AdUps every 72 hours, AdUps’ software also has the capability to remotely install and update applications on a smartphone. The secret backdoor is said to be there intentionally and not accidently or due to a security flaw, although, according to the US authorities, at the moment it is unclear whether the data is being collected for advertising purposes or government surveillance. Kryptowire says the company discovered the secret backdoor on the BLU R1 HD device sold by Florida-based smartphone manufacturer BLU Products, which sells its devices in the U.S., and some other countries from South America, online through Amazon and Best Buy. Collect and Send SMS texts to AdUps’ server every 72 hours. Collect and Send call logs to AdUps’ server every 72 hours. Collect and Send user personally identifiable information (PII) to AdUps’ server every 24 hours. Collect and Send the smartphone’s IMSI and IMEI identifiers. Collect and Send geolocation information. Collect and Send a list of apps installed on the user’s device. Download and Install apps without the user’s consent or knowledge. Update the phone’s firmware and Re-program the device. Execute remote commands with elevated privileges on the user’s device. The backdoor has been discovered in two system applications – com.adups.fota.sysoper and com.adups.fota – neither of which can be disabled or removed by the user. On contacting, BLU Products confirmed that approximately 120,000 of its smartphones have the AdUps’ software installed, which is being removed from its devices. "BLU Products has identified and has quickly removed a recent security issue caused by a third-party application which had been collecting unauthorized personal data in the form of text messages, call logs, and contacts from customers using a limited number of BLU mobile devices," the company said in a statement. "Our customer’s privacy and security are of the upmost (sic) importance and priority. The affected application has since been self-updated, and the functionality verified to be no longer collecting or sending this information." Besides BLU Products, Kryptowire immediately notified Google, AdUps, as well as Amazon, which is the exclusive retailer of the BLU R1 HD, of its findings. Google also issued a statement saying that the company is working with all affected parties to patch the issue, though the tech giant said that it doesn’t know how widely AdUps distributed its software. 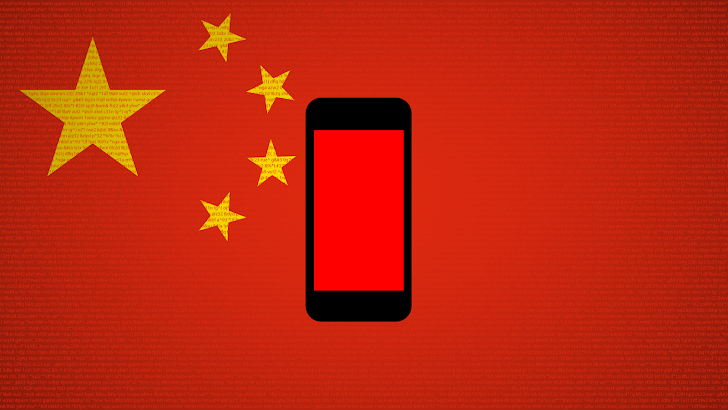 However, According to AdUps, its software featured on the smartphone tested by the security firm was not intended to be included on smartphones in the United States market and was just designed to help Chinese phone manufacturers to monitor user behavior. "We confirm that no ZTE devices in the U.S. have ever had the AdUps software cited in recent news reports installed on them, and will not. ZTE always makes security and privacy a top priority for our customers. We will continue to ensure customer privacy and information remain protected."